The German automotive manufacturer, Audi, has integrated the Stratasys J750 3D printer into its design operations. The printer, the world’s only full-colour, multi-material 3D printer, has been adopted by Audi to innovate and accelerate its design process. The firm has found that it is able to produce prototypes efficiently and effectively through additive manufacturing. At its Pre-Series Centre in Ingolstadt, Germany, Audi has been able to reduce the prototyping time for its tail light covers by 50% since implementing the Stratasys printer, against methods such as moulding and milling. “Design is one of the most important buying decisions for Audi customers, therefore it’s crucial we adhere to supreme quality standards during the design and concept phase of vehicle development,” explains Dr. Tim Spiering, Head of the Audi Plastics 3D Printing Centre. Additive manufacturing, or 3D printing, is a growing market and one that is shifting away from traditional prototyping and into the world of direct manufacturing, as a range of industries begin to recognise its potential. Tolerance and fit are essential concepts that engineers use to optimize the functionality of mechanical assemblies and the cost of production. For 3D printed assemblies specifically, designing for proper tolerance and fit lowers post-processing time and ease of assembly, and reduces the material cost of iteration. The coefficient of friction for Tough and Durable are also measured, which can be helpful for designing sliding or kinematic solutions. This white paper also included downloadable test models that allow you to repeat our tests and determine design tolerances for other 3D printed materials. There aren’t many companies that can pull off a multi-track, two-day conference using only its partner network and top it off with a Jimmy Fallon show-style event complete with its own ‘3D Printed Hearts Band’ made entirely of its staff. But then there aren’t many companies like Materialise, which recently ticked all of those boxes, and then some, when it hosted its biannual World Summit in Brussels. Materialise founder and CEO, Fried Vancraen, welcomed delegates to SQUARE on April 20th with a brief history of how the Belgian 3D printing company has evolved over the last 27 years. “We believe co-creation is at the base of many more successes,” Fried explained and that belief set the course for the presentations that followed with a host of Materialise partners discussing everything from aerospace to consumer goods. Once 3D printing files have been stolen, nothing can stop the illicit production of objects indistinguishable from those made by the manufacturer. To prevent this, American researchers suggest embedding flaws into designs such that only under specific conditions are they neutralised. In the past year, the 3D printing – or additive manufacturing – industry has grown nearly 26 per cent and is now worth more than $5 billion. 3D printing is used to produce prostheses, buildings, puddings and countless other objects of practically any shape imaginable. One of 3D printing’s big advantages is that it allows designs to be optimized, free of the restrictions of traditional, reductive manufacture. 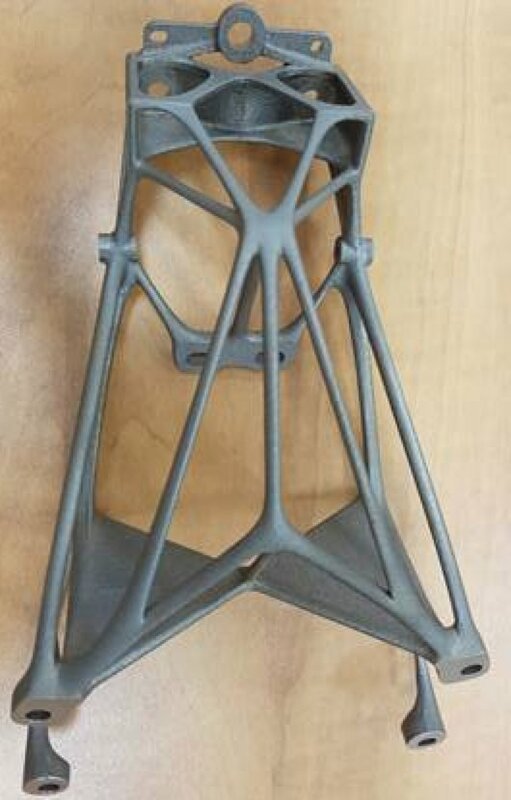 Stratasys and Dassault Systèmes have partnered to develop next-generation design tools that improve the efficiency, functionality, strength and weight of end-use parts produced using Stratasys’s fused deposition modeling (FDM) 3D printing process. Stratasys will work with SIMULIA—the Dassault Systèmes’ brand focused on simulation software applications—to offer simulation capabilities that facilitate optimization of final part designs for a range of applications, including those in the aerospace and automotive industries.